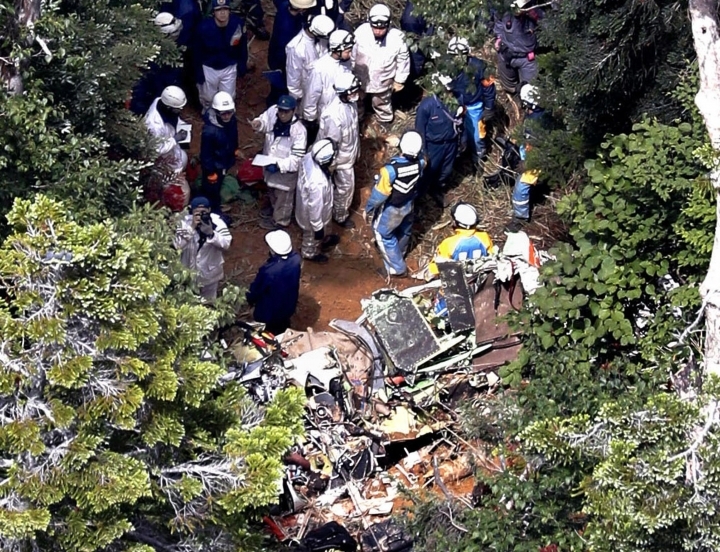 TOKYO — All nine people aboard a Japanese search and rescue helicopter that crashed into the central mountains were confirmed dead Saturday, authorities said. 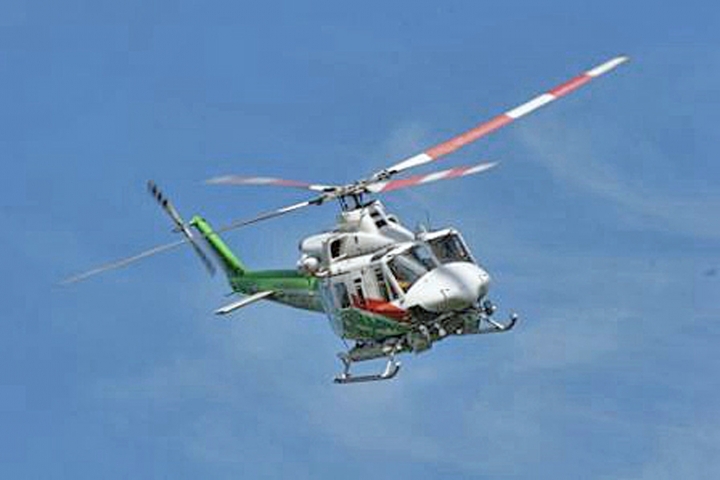 The Bell 412EP helicopter carrying seven local rescue workers from the Gunma prefecture and two from a flight service company lost contact about an hour after takeoff Friday and crashed. Prefectural officials said the last person aboard was retrieved Saturday and pronounced dead. The helicopter was on a two-hour flight to monitor the opening of a mountain trail. The prefecture said it canceled Saturday's event due to the accident. It wasn't clear what caused the crash. 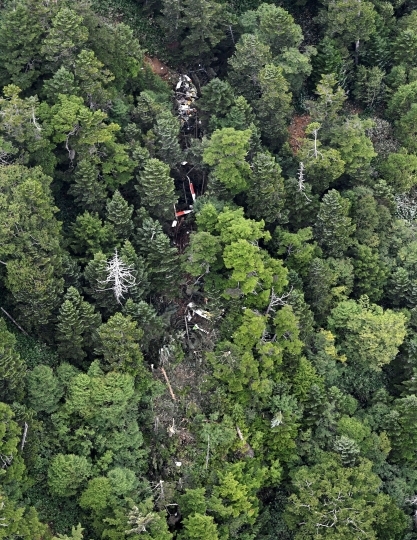 An investigation continued Saturday at the mountainside crash site, where debris of the helicopter was scattered and trees torn down apparently from the impact of the fall. 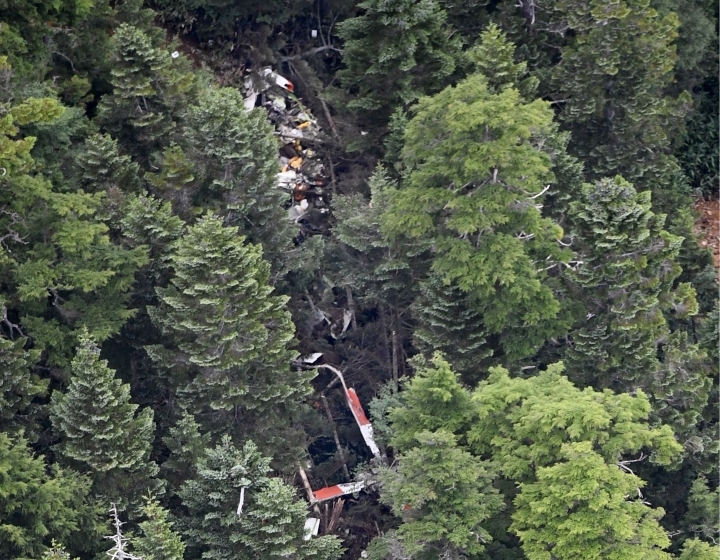 Japanese media quoted witnesses as saying the helicopter was flying extremely low in foggy weather before the crash. The GPS data sent from the helicopter indicated it was making a turn a minute before the transmission stopped, Kyodo News reported. It said the helicopter was not carrying a flight data recorder. Prefectural officials said the helicopter, which was about 20 years old, had its engine repaired in April but had no abnormality since it resumed operations in June.